I recently met with someone to talk about palliative care. I’m here to share my experience in hopes it will help you, too. My last column about end-stage PF had thousands of views and LOTS of comments, which shows how important it is to talk about these tough issues. Palliative care is treatment focused on relieving and preventing symptoms that are distressing. Receiving palliative care does not mean you cannot also receive “curative care,” such as participating in research studies, being evaluated for lung transplantation, and considering new medications. It is not the same as hospice care, which is treatment administered in the last months of life. Palliative medicine involves a myriad of healthcare professionals who consider physical, psychosocial, and spiritual factors in their treatment approach. I’ve had both extremes. Four months after I was diagnosed, my doctor tried to put me on palliative care after giving me a few months to a year to live. That was three years ago. I was on oxygen full-time, but was still working, and did not feel like it was time, so I declined. In the last six months, I’ve asked two doctors about pursuing palliative care, and both times were told, “No, you’re not there, no need to talk about that now.” That was frustrating. Maybe they thought if I sought palliative care I was giving up. I’m sure for some people asking for palliative care means you are giving up, but that isn’t the case for me. I care about myself and I want to take steps to make sure I’m as comfortable as possible and can take advantage of any resources available to make my life easier. I called a few doctors that were in my insurance plan who said they provided palliative care, but in reality, it was just hospice care. 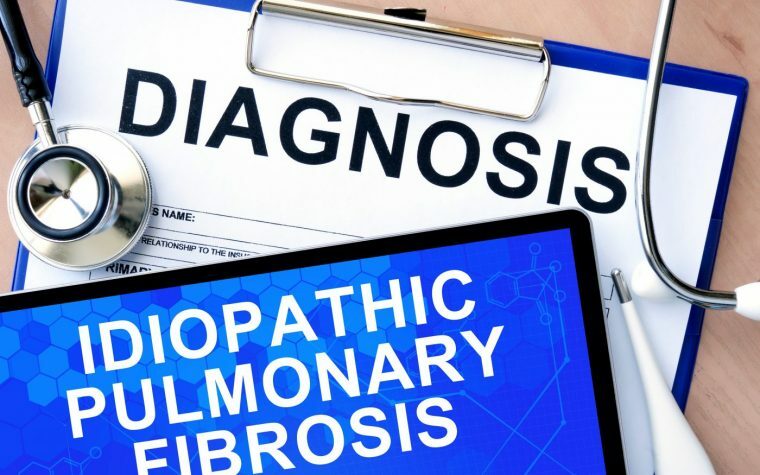 Some recent research shows that pulmonary fibrosis patients are greatly underserved by palliative care, so I know I’m not the only one to experience this. I realized I wasn’t going to get the referrals I needed, so I decided to seek out someone who could help me figure out what my options are. Two years ago, after my first book was released, I spoke at a hospital chaplains meeting about the importance of self-care. After the meeting, I met one of the chaplains who had her own business as a “patient advocate.” I didn’t feel like I needed her services, but kept her card. Once I couldn’t find someone to help, I gave her a call, and my hubby and I met with her last week. She went through the passing of her husband and two parents, got to know the system, what services are out there, and what to do when. She’s also trained as a chaplain and has lots of experience helping people through tough times. She asked a lot of questions and made some recommendations for steps to take now, while I’m still feeling okay and able to get out and about. Being on 8 liters of oxygen sitting and 10 liters walking isn’t exactly “feeling okay,” but I knew what she meant. It was helpful to talk with her. Some of the things she suggested we had already done, like getting our financial affairs in order and doing upkeep on our home now. Post a list of your medications and a POLST form (physicians orders for life-sustaining treatment) on your refrigerator so your caregiver and emergency workers can easily find it if needed. I got this form from my doctor, but you can also find more information here. Write down in one place the contact information regarding your doctors, insurance, hospital, and oxygen provider. Also make a list of all your family members, friends, and their contact information. This will help our caregivers enormously, as they will not have to search for all this information later. Okay, this is a hard one, but I’m just being real, my friends. When she learned we had not secured burial plots or talked with anyone about funeral arrangements, she suggested we begin this process for both my husband and I. Honestly, it’s something everyone should do when they get into their 50s or 60s — whether you have a life-threatening illness or not. I did some research and we are going to visit several places soon. This was another hard one to write about, but I know we are in this together. So, anything I can do to help you and I think through these things and get the help we need is worth the effort. Please let me know your thoughts and experiences in the comments below. Tagged end-of-life care, interstitial lung disease, palliative care, POLST form. Previous: Pain and IPF: What’s the Deal? 3. Okay, this is a hard one, but I’m just being real, my friends. When she learned we had not secured burial plots or talked with anyone about funeral arrangements, she suggested we begin this process for both my husband and I. Honestly, it’s something everyone should do when they get into their 50s or 60s — whether you have a life-threatening illness or not. I did some research and we are going to visit several places soon. My husband passed away 9 months after his IPF diagnosis. We already had our funerals and burial plots secured and paid for. I can’t tell you what a huge relief this was and not having to deal with that added pressure. Losing him was enough and had my head reeling. I didn’t need to worry about the cost of his funeral or burial plot. And I totally agree that anyone (healthy or sick) over 50-60 should definitely get this in place. You never know and that is something you certainly don’t want your children to have to deal with. Also note, it is cheaper to have these in place before “time of need.” You will pay premium costs at time of need. Kim. This is wonderful advice. I like the part about writing rx oxygen etc on list I did have burial planned long ago when my husband passed. We did arrangements together. Good advice for anyone. I lost a daughter in law at 45! No plans had been done before. Who knew this would happen so young and sudden. Keep up the good work. Your information is valuable to us. I know about Palliative Care & when I asked my PCP he didn’t know about it. But, I persevered & made calls myself. I live in a very large metroplex & amazingly there were only a couple of doctors but, they were attached to hospice. I then requested my Ins Co to look & they found the same. It is sooo frustrating that no one even knows what Palliative Care even is. So basically I get to do without. I hope others in need can find what they need. Thank you for your efforts to educate the public! Important subject. Another area requiring attention for most couples is overall finances. For example: I have handled finances for the last 30 years including taxes, bill paying and investments. Instruction on Investment accounts for both my wife and oldest daughter. Getting investment accounts to a state where they can be managed “Passively” by my wife and family. Preferred approach to Investment management should a manager be retained later. I was told I had IPF almost 5 years ago. On oxygen 6LPM 24/7. Still active, go out every day. Made all my funeral plans so my children would not have to do it. Tried taking Oleg but it did not agree with me. do not take anything else at this time. I hate my POC since it weighs 22 Lbs and is heavy to lift into car and shopping carts. Live every day to the fullest.